Are you looking for a delicious chicken recipe with a difference? If you are, you’ve found it! Here’s my lemon chicken with honey & rosemary for you to enjoy. 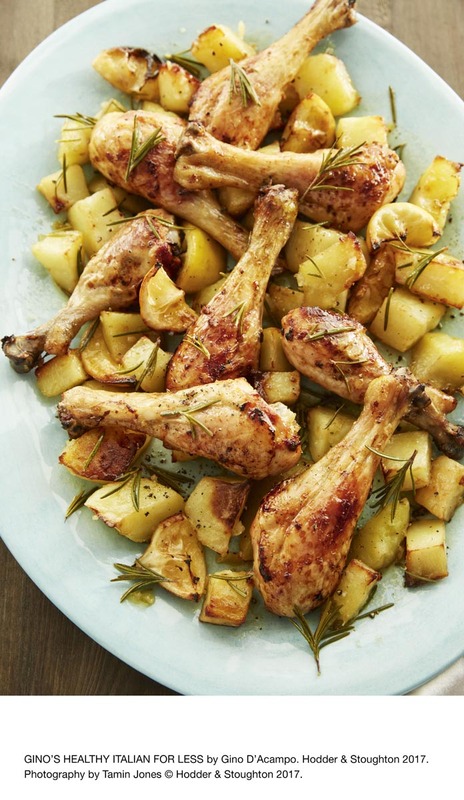 Feast your eyes on the finest lemon chicken with honey & rosemary! It’s straightforward and fun to make this great dish. Simply follow the instructions below and get the perfect result. Squeeze the juice from 2 of the lemons and pour into a small saucepan. Add the butter, honey, garlic and rosemary. Place over a low heat for 2 minutes, stirring occasionally; set aside. Arrange the chicken drumsticks in a large roasting tray. 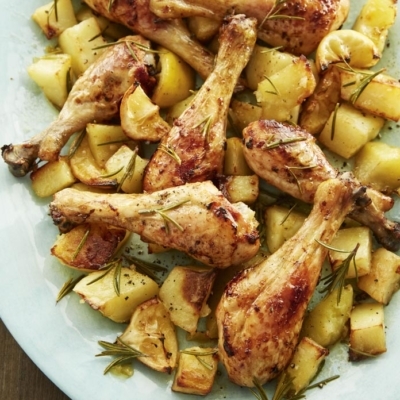 Scatter the potatoes around the chicken and pour over the hot lemon sauce. Cut the remaining lemon into 4 and place in the tray. Stir to ensure that the sauce is coating all the chicken and potatoes and everything is evenly spaced. Season with salt and pepper and roast in the oven for 1¼ hours, stirring halfway through. Remove from the oven and serve with a big mixed salad. 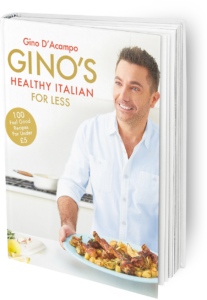 GINO’S TIP: The lemon and honey make a great sauce for roasting, but you could also use it as a marinade for barbecuing chicken in summer. Once you’re done, simply sit back and enjoy your lemon chicken with honey & rosemary and don’t forget to check out other great authentic Italian recipes including great antipasti recipes, Italian pasta recipes, Italian soup recipes, Italian beef dishes and authentic pizza recipes.